Following the release of the 2018 federal budget, several journalists noted that the official document included the word "gender" no fewer than 358 times in 367 pages. That is almost once per page. Some may criticize this as overkill or grandstanding. But for too long women and girls have been left out of these kinds of pages altogether. In too many board rooms, laboratories and government offices, the voices and lives of women and girls have been painfully absent. This is especially true for girls, whose unique experiences and needs are so often ignored. They are practically invisible in laws and policies worldwide, leaving them vulnerable to discrimination and abuse of their rights. 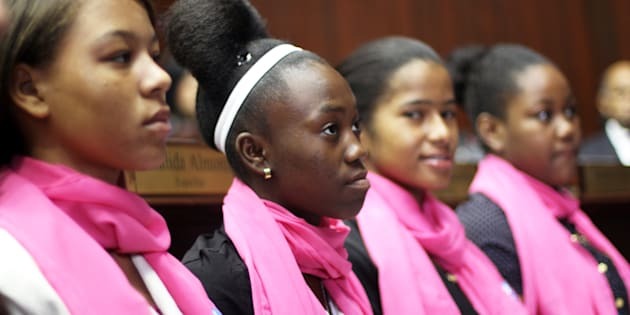 In fact, a recent report by Plan International reveals the dismal extent to which international laws overlook girls' rights — they are at best an afterthought, and at worst ignored by lawmakers. Plan International has implemented a program in Nicaragua to train and help equip girls from 10 different communities with knowledge and tools to protect themselves from violence. So if the word "gender" was on all 367 pages of today's federal budget, that would be just fine by my calculations. Highlights of the budget include new incentives for women to get back to work after they've had a baby, as well as pay equity legislation, which aims to reduce the gender wage gap in the public sector. In the wake of #MeToo it also includes $86 million over five years to support and grow gender-based violence work. And the budget will also reach girls and women beyond our borders, with the announcement of a $2 billion commitment over five years towards the implementation of Canada's Feminist International Assistance Policy. This budget is not a panacea for gender equality in Canada, but it is an unprecedented step towards ensuring this budget serves all Canadians, including girls and women. Canada is by no means the first country to place gender at the core of its economic and policy decision making — Iceland, Sweden, Rwanda and South Korea have all committed to this approach, and I hope many more will soon follow. Around the world, we must continue to push for resources to follow policy when it comes to advancing gender equality and girls' rights. Women's rights are human rights. Likewise, gender equality isn't just a women's issue, it's a human issue — so let's start acting like it. I am particularly proud of the government's strengthening of the Department of Status of Women. This move is key to ensuring gender remains at the centre of all government decision-making. In case anyone missed the memo: women's rights are human rights. Likewise, gender equality isn't just a women's issue, it's a human issue — so let's start acting like it. That's why I am so pleased the budget will provide $1.8 million over two years to the Department of Status of Women Canada to develop an engagement strategy for men and boys that promotes equality. In Uganda, girls and boys are challenging attitudes by making sanitary pads for girls and raising awareness to address the stigma surrounding menstruation. We must start to bring boys and men into the conversation, and not simply as allies. Men and boys must battle endemic sexism and gender-based violence right alongside women and girls, not as observers cheering from the sidelines. The systemic inequities that prevent gender equality from flourishing are deeply rooted. Men and boys must play a role in the unearthing. They are equal partners of change with equal responsibility for change. Importantly, they are also equal beneficiaries of change, as they too are often locked in rigid feedback loops of toxic masculinities and violence. This is the kind of work that is needed to finally begin dismantling the patriarchal systems that for so long kept women and girls in the margins. In Margaret Atwood's The Handmaid's Tale, the protagonist tells readers, "We were the people who were not in the papers. We lived in the blank white spaces at the edges of print. It gave us more freedom. We lived in the gaps between the stories." Though she is living in a not-too-distant dystopian future, she could well have been describing the last millennium. So yes, it matters that the word gender can be found 358 times in the pages of the 2018 budget. We aren't where we need to be, not by a long shot, but we are no longer in the margins.